Most chemotherapy drugs can cause hair loss or thinning. This can come as quite a shock when it happens, and there's nothing to make you appreciate having hair more than losing it for a while. But what should you do while your hair is on vacation in chemoland? Wigs are readily available and may help ease your transition from your own hair to ready-to-wear hair. Because a wig can add to the overall cost of your treatments, you may need a little financial help to purchase one. 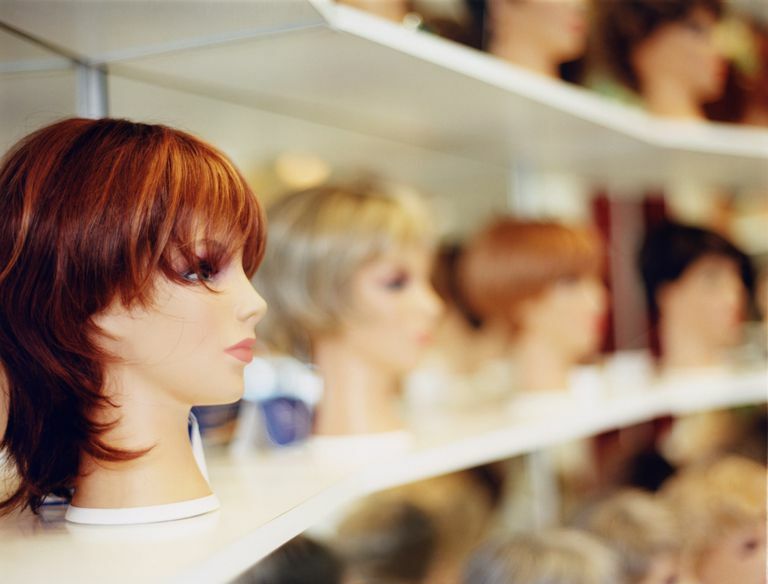 Here's how to increase the odds that you'll get assistance with buying a wig. Most private health insurance policies will cover a percentage of a wig purchase. Before you start wig shopping, call your insurance company and ask about their requirements, what they will cover, and what terminology they need to have on a prescription for a wig. If the answer is that you must have a prescription from your oncologist, it should be written for a "hair prosthesis" or "cranial prosthesis." Relax, that doesn't mean that you need a new cranium! It's just the way that insurance companies prefer to label a chemo-required wig. The insurance company may also require that you purchase the wig first, send in the receipt, and file a claim. I had to classify my cranial prosthesis as "durable medical goods". Some of the shops that specialize in wigs for cancer patients will help you file an insurance claim. If they don't actually do the filing for you, they may have a staff person who can coach you through the paperwork. You may have to pay for a wig out of your own pocket — in this case, save the receipt in case the purchase qualifies as a tax deduction. If you know in advance that your insurance will not help with a wig purchase, shop around for inexpensive wigs (some costume wigs will do just fine) or talk with your doctor or social worker about local resources. Contact your local chapter of the American Cancer Society about donated wigs that may available to you at no cost.